The scientific study of resilience shows how to increase our chances of recovering from challenges. These principles are related to biblical perseverance. Over the course of a few weeks many years ago, I read two stories of stark contrast. One concerned a promising high school football player who fractured his neck during roughhousing and became paralyzed from the chest down. Within several years, he committed suicide. The other story was about a boy who suffered a neck fracture in a childhood accident and was paralyzed from the neck down. By his senior year in high school, this young man had become an accomplished artist by painting with a brush in his teeth. One soared in spite of a seemingly impossible handicap, while the other sank into a deep depression and took his own life. Why the difference? Why do some have the resilience, or perseverance, to bounce back from overwhelming circumstances while others do not? 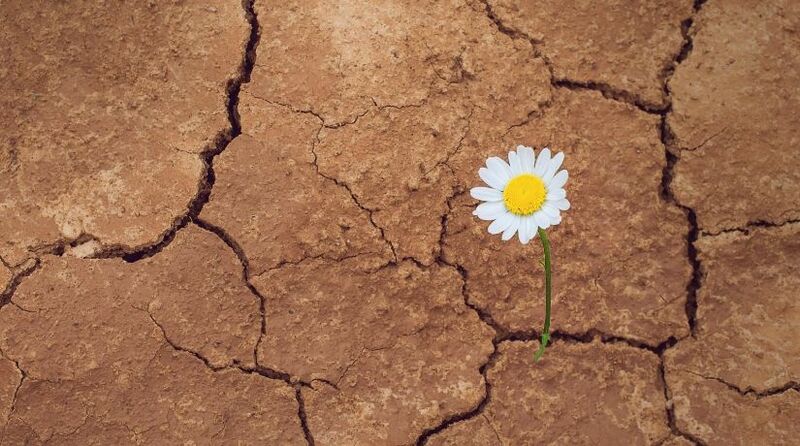 Is resilience something you are born with, or is it a skill to be developed? These questions began to seriously attract the attention of scientists after World War II. Some individuals bounced back from their horrible experiences during the war, while others could never recover from the trauma and failed to lead productive lives. Much has been learned since those days, and the results were summarized in an article in Time magazine (“Bounce Back,” June 1, 2015). The term resilience, as used in the magazine article, is the ability to recover and continue in life’s pursuits no matter the problems and obstacles encountered. Similarly, perseverance is the ability to persist in life’s pursuits in spite of difficulties and obstacles. The difference between the two words is more of tone. Resilience suggests a more optimistic approach to problems, while perseverance suggests a more dogged persistence. Since the Bible’s use of perseverance is usually associated with optimism in reaching the long-range goal, they are essentially the same in the context of the scientific studies. The terms will be used interchangeably here. Is the science of resilience consistent with the Bible? An important conclusion from scientific studies is that resilience or perseverance is a skill that can be learned through training. The Time article listed 10 “expert tips” for developing the skill of resilience. Let’s analyze these tips and see how each one correlates to fundamental biblical teachings. 1. Develop a core set of beliefs that nothing can shake. Scientific studies have shown that a characteristic of the resilient is a strong sense of right and wrong. In addition to identifying core values, the experts recommend that you regularly evaluate how well you are living your values (self-examination) and strive to reach higher standards (grow). This understanding is consistent with the Bible. However, the Bible goes a step further by emphasizing not just any core values but the right values. “And do not be conformed to this world, but be transformed by the renewing of your mind, that you may prove what is that good and acceptable and perfect will of God” (Romans 12:2). In other words, prove the Bible is the Word of God and live it. The more closely God’s core values are followed, the more resilience increases. 2. Try to find meaning in whatever stressful or traumatic thing has happened. In recent years scientists have conducted a number of studies related to post-traumatic stress disorder (PTSD), a resilience-related disorder. One effective treatment has been to direct sufferers toward service to others, particularly those dealing with PTSD. By focusing on helping others, they have helped their own recovery and given meaning to their own suffering. Here is another example of a fundamental biblical principle—give to others. In a broader sense, our trials serve as a training program to help us see our weaknesses and grow. Job’s experience is an excellent example (James 5:11). David expressed it well: “For You, O God, have tested us; You have refined us as silver is refined. You brought us into the net; You laid affliction on our backs. You have caused men to ride over our heads; we went through fire and through water; but You brought us out to rich fulfillment” (Psalm 66:10-12, emphasis added throughout). Peter recognized that resilience was among the key components signifying growth. “But also for this very reason, giving all diligence, add to your faith virtue, to virtue knowledge, to knowledge self-control, to self-control perseverance, to perseverance godliness, to godliness brotherly kindness, and to brotherly kindness love. For if these things are yours and abound, you will be neither barren nor unfruitful in the knowledge of our Lord Jesus Christ” (2 Peter 1:5-8). 3. Try to maintain a positive outlook. Scientists have found a correlation between the idea of understanding that there can be meaning to trials and a key ingredient of resilience—optimism. However, a special kind of optimism is required. Resilient optimists rarely ignore the negative; they learn from it and change. It is a form of what we call self-examination and repentance. On the other hand, unrealistic optimists tend to overestimate their ability, underestimate their risk and inadequately prepare. Pride controls their life, and they don’t view change as necessary. We know trials will come (1 Peter 4:12-13). We understand that while there is such a thing as time and chance (Ecclesiastes 9:11), most of our problems should lead us to self-examination and growth. From the Bible, a more suitable term than optimism is hope. Romans 5:1-5 summarizes the fullness of hope. Here the Bible takes a different track from the experts. While the experts suggest that optimism leads to resilience, God suggests a more coupled interaction that works both ways. “And not only that, but we also glory in tribulations, knowing that tribulation produces perseverance; and perseverance, character; and character, hope” (Romans 5:3-4). Here we see that perseverance (resilience) leads to hope (optimism). Yet in Romans 8:25 we see the reverse. “But if we hope for what we do not see, we eagerly wait for it with perseverance.” Here the scripture indicates that hope leads to resilience. A contradiction? No, but rather an indication that hope and resilience reinforce each other interchangeably as we learn and grow. 4. Take cues from someone who is especially resilient. In other words, follow the examples of others who succeeded with perseverance. That’s excellent advice as long as you choose the right examples, of which God has provided many. God goes a step further and asks us to also learn from the examples of those who failed (1 Corinthians 10:6-11). 5. Don’t run from things that scare you; face them. Scientists have found that the resilient tend to face their problems rather than run from them—and not just the big things. How you cope with the small problems is a strong predictor of how you will deal with the big ones. In essence, dealing with your daily problems provides training for when the “big one” hits (Luke 16:10). This concept is consistent with how God expects us to not only examine ourselves and face our sins (2 Corinthians 13:5), but learn from them and change, repent and grow (2 Peter 3:18). Each trial that is overcome is training for the next challenge through self-examination, repentance and change. 6. Be quick to reach out for support when things go haywire. God has set up a dual-support system for us. First, He provides direct access to Him through prayer. Second He gives us the support of the Church through both individual relationships and prayers of the brethren. Scientists now use functional magnetic resonance imaging to track such things as brain neural activity and blood flow. For example, the emotions associated with rejection, loneliness and worrying about the past or future activate the same neural pathways as fear. However, those who have developed the habit of reaching out for support are training other neural pathways that don’t reinforce the fear circuits. Over time, these new pathways can become the usual response to stress, resulting in less fear and more resilience. God has set up a dual-support system for us. First, He provides direct access to Him through prayer. Second He gives us the support of the Church through both individual relationships and prayers of the brethren. Reaching out through prayer can train our brains to react more calmly to stress, creating more resilience—a renewing of the mind (Romans 12:2). 7. Learn new things as often as you can. Studies show that engaging the mind in learning, as well as meditating on this knowledge, raises resilience through the renewing of the mind. This idea fits right in with the biblical admonitions to study and meditate. 8. Don’t beat yourself up or dwell on the past. Some years ago I spoke on the topic of forgiveness. One point I made was that some people may not want your forgiveness or care whether you forgive them or not. However, it may be important for you to forgive so you can move on with your life. Afterward, I was approached by someone I did not know who had been divorced for a few years. He said he could not forgive his ex-wife and was justified because she had not asked for forgiveness. His anger and pain was very obvious throughout the conversation. Clearly he had not moved on and was letting his anger and resentment control his life. Some simply can’t seem to move on from the past. Either they can’t forgive themselves, or they can’t forgive someone else. This is a huge impediment to resilience (Hebrews 12:15). Forgiveness is central to the New Covenant. “And be kind to one another, tenderhearted, forgiving one another, even as God in Christ forgave you” (Ephesians 4:32). It is through forgiveness that we can put the past behind us and move on with our lives—an essential component of perseverance. 9. Find an exercise regimen you’ll stick to. Scientists have found that over time a person’s reaction to stress is improved through regular exercise. Here is one area where the Bible is nearly silent. Although the Bible speaks primarily to the spiritual, there are suggestions to maintain physical health. Paul sums it up well. “But reject profane and old wives’ fables, and exercise yourself toward godliness. For bodily exercise profits a little, but godliness is profitable for all things, having promise of the life that now is and of that which is to come” (1 Timothy 4:7-8). 10. Recognize what makes you uniquely strong—and own it. Scientists tend to point toward an individual’s personal strengths as a key to resilience. Such strengths clearly can play a role. “As each one has received a gift, minister it to one another, as good stewards of the manifold grace of God” (1 Peter 4:10). But what is it that makes us uniquely strong? Abraham had it. Moses had it. David had it. Daniel had it. Peter had it. Paul had it. The answer is faith. Scientists have concluded that resilience, or perseverance, is not a disposition or personality type. Rather, it is a skill set that can be learned, making it possible to not only endure trials but to thrive during and after them. Scientific studies have led to a number of tips from the experts on how to increase this skill set. These recommendations are generally consistent with the biblical principle of growing toward perfection and include many of the key components of Christianity. Beginning with the basic concept of proving the Bible is the Word of God and living it, the list includes learning from biblical examples, self-examination, repentance, forgiveness, prayer, Bible study, meditation, hope and faith. Applying these principles can make a major impact on how successful we are in conquering our trials and challenges.